Here is a super awesome seasonal recipe: a pumpkin pie smoothie! It is extremely delicious and a healthy way to include festive flavors into your daily routine. Add filtered water as needed to create desired texture. Add all ingredients to blender and blend until smooth. Top with raw pumpkin seeds and a dash of cinnamon. Note: Consistency can be made thicker by adding less coconut milk and eaten with a spoon. You can also top with coconut flakes, crushed raw almonds, and pumpkin seeds for a crunch. 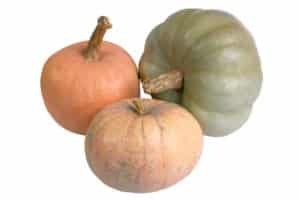 Pumpkin contains an abundance of health-promoting carotenoids, including alpha and beta carotene, precursors to vitamin A. These carotenoids are powerful antioxidants, which combat the free radical activity that leads to cancer cell growth and damages cell structures. 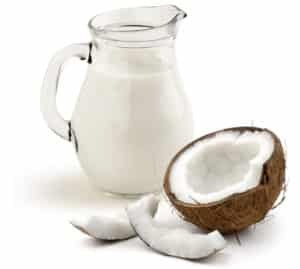 Coconut milk contains medium chain triglycerides (MCTs). These fats require minimal digestion and provide an excellent vehicle for fat-soluble vitamins to easily enter the body. In this recipe they maximize the absorption of the fat-soluble vitamin A that is present in the pumpkin. 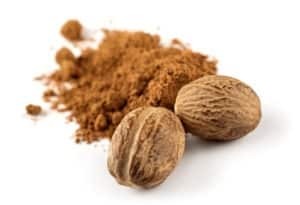 Nutmeg contains powerful antioxidants that have been shown to fight inflammation and reduce pain. These same antioxidants have also been shown to slow down or stop the deterioration of neural pathways in the brain. Ashley is Oasis’ Nutritionist and Health Educator. She teaches education classes and guides patients and their families on how to use nutrition, lifestyle, and mindfulness to eliminate cancer while optimizing their treatments and their health.